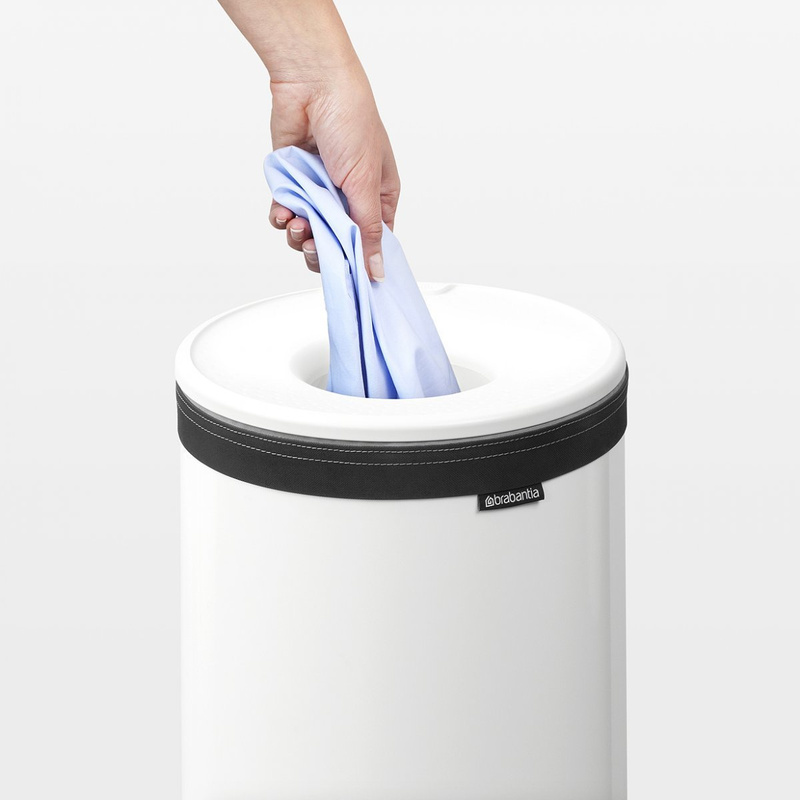 To keep your dirty laundry in perfect order, choose the best: the 35-litre Brabantia laundry bin! 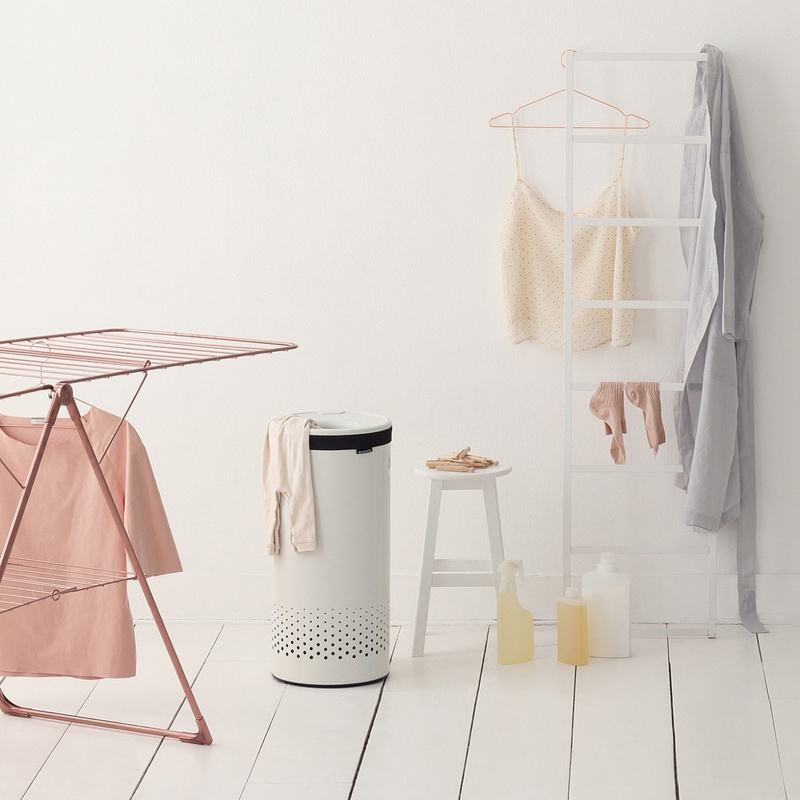 If you’ve organized a small laundry space in your house, whether in the bathroom or in another room, and wish to keep it in order constantly, Brabantia offers a modern 35-litre laundry bin that’s right up your alley. 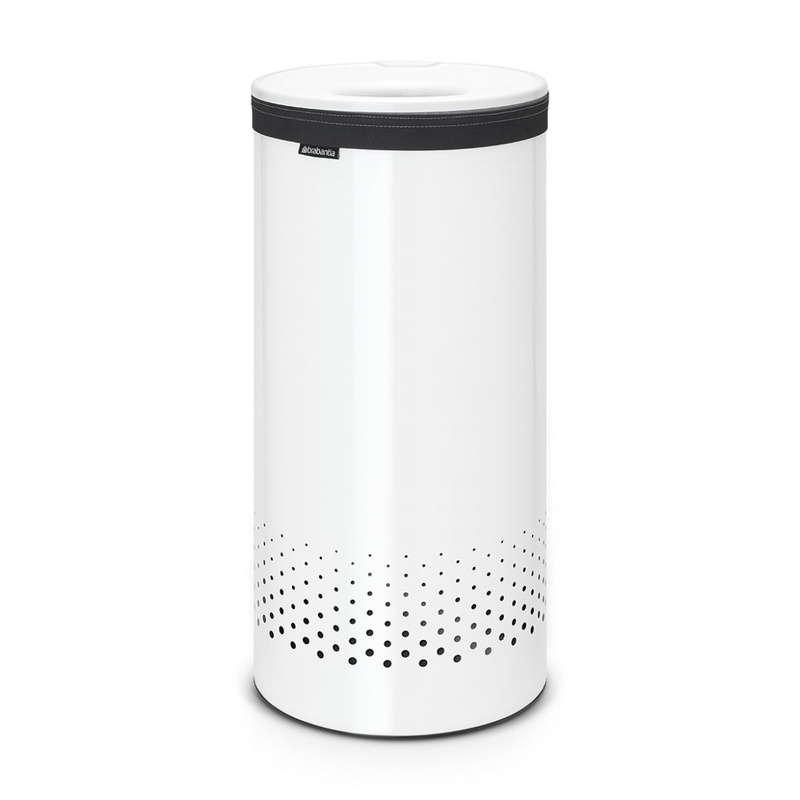 It’s a white cylindrical-shaped bin of with a practical, easily closable lid. The cover is also equipped with a practical hole that allows you to put the dirty laundry into the basket without having to open each time. It is characterized by a simple yet very functional and unique design. The anti-scratch base can also be placed on the most delicate floors, even wooden floors, as it does not damage the supporting surface in any way. 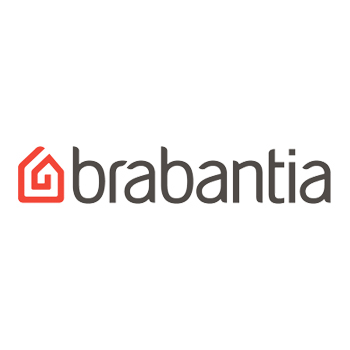 The things you throw in into the 35-litre Brabantia laundry basket from time to time are always hidden from view. This way, your laundry space will always appear organized, even when laundry accumulates on rainy days or when your work prevents you from having free time to throw in one or two loads. The attractive design of this modern linen holder makes it perfect for contemporary and avant-garde architectural contexts. It can be positioned next to the washing machine, in the bathroom, in the dressing room or in other rooms of your home. Its presence does not go unnoticed, and it gives the environment a touch of modernity and style. 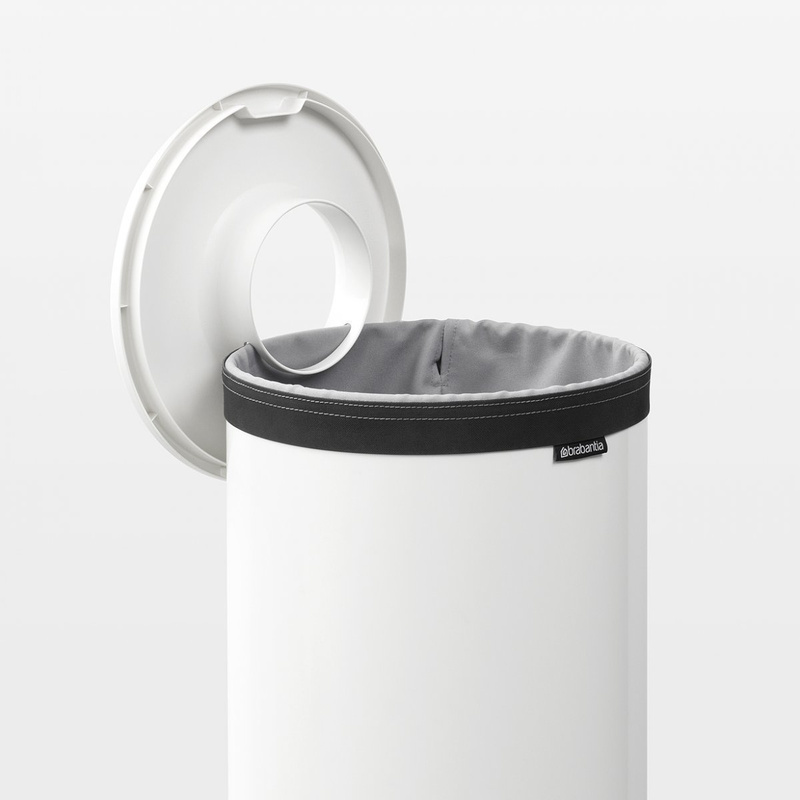 This practical and stylish 35-litre Brabantia laundry bin has a spacious inner bag made of cotton, which allows you to take out all the laundry at once. Furthermore, its anti-slip band allows a safe and easy grip in every situation. 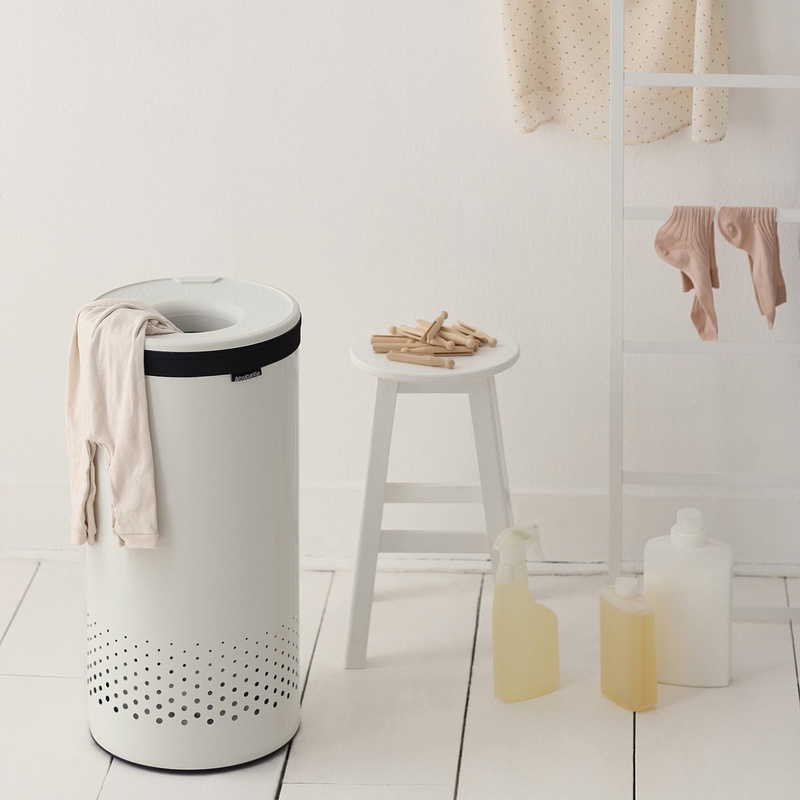 To keep the laundry from developing bad odours by staying sealed for a long time in an airtight container, this bin from Brabantia has special holes for proper ventilation.